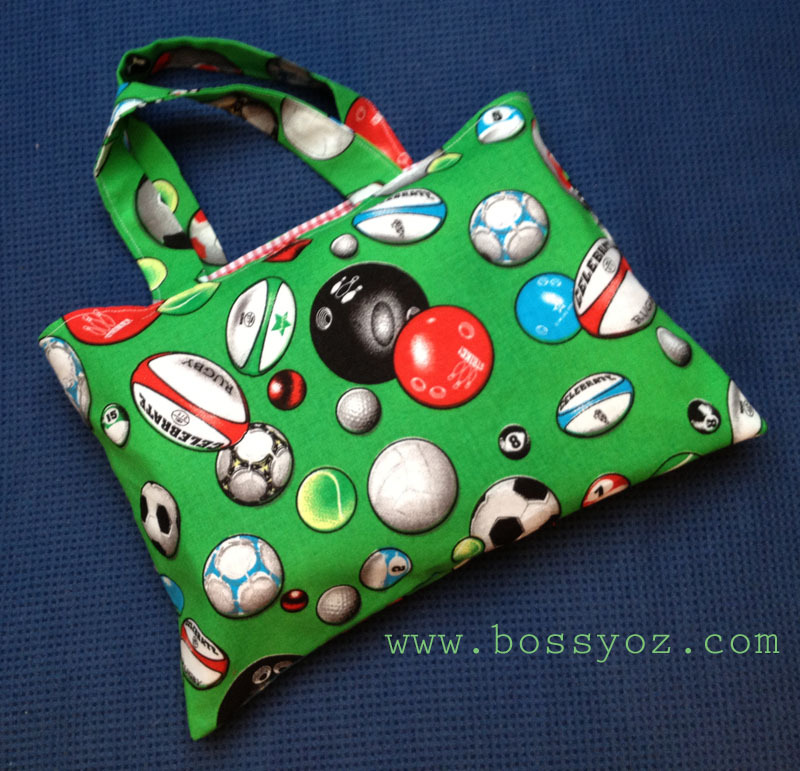 I have made MANY of these and they are always popular as "new baby" gifts. 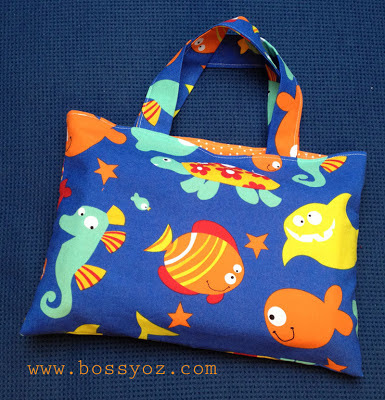 The pattern is super easy, as it's really the fabric that makes the bag. On these, the green multi-sport bag has a red/white gingham liner and the fish one has an orange fabric with tiny white spots on the inside.